In my last post I got to show off my green wool coat, which I made specifically to wear to the Coldest Arena in the World, which happens to be the Citizen’s Business Bank Arena in Ontario, CA. 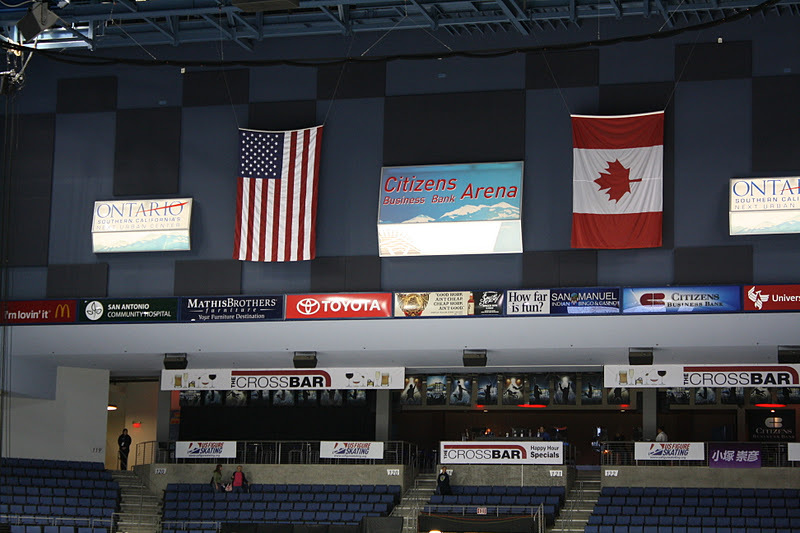 Which also happens to be where Skate America was being held this weekend. Panel of judges and wall of sponsors. 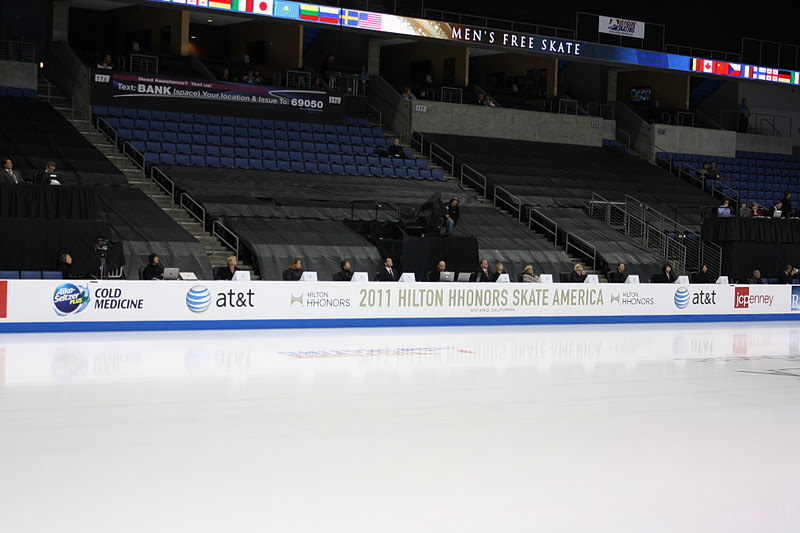 I was lucky to be able to attend both segments of the men’s singles and ice dance events. 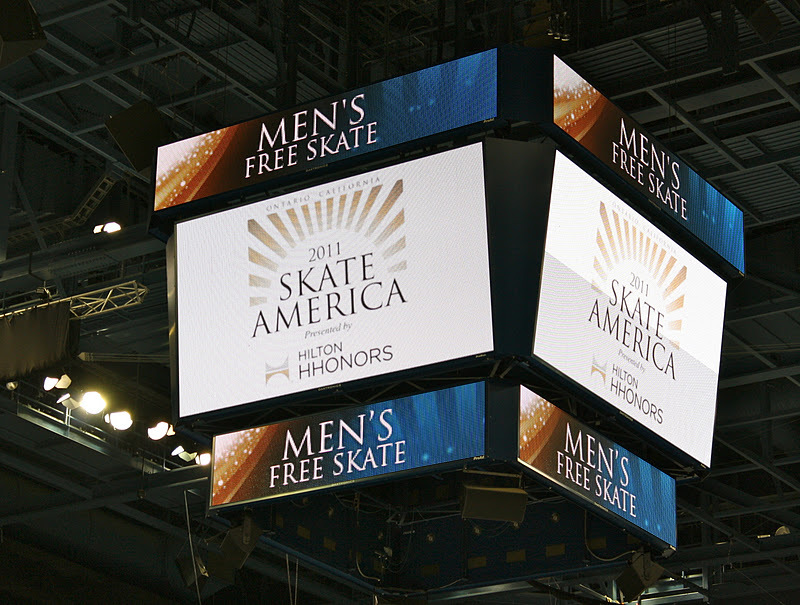 I was not able to view the ladies or pairs events, but I should be able to see it all on tv later. Overall it was super exciting to be there live and in person, although it was really cold! I was really happy I made my coat. 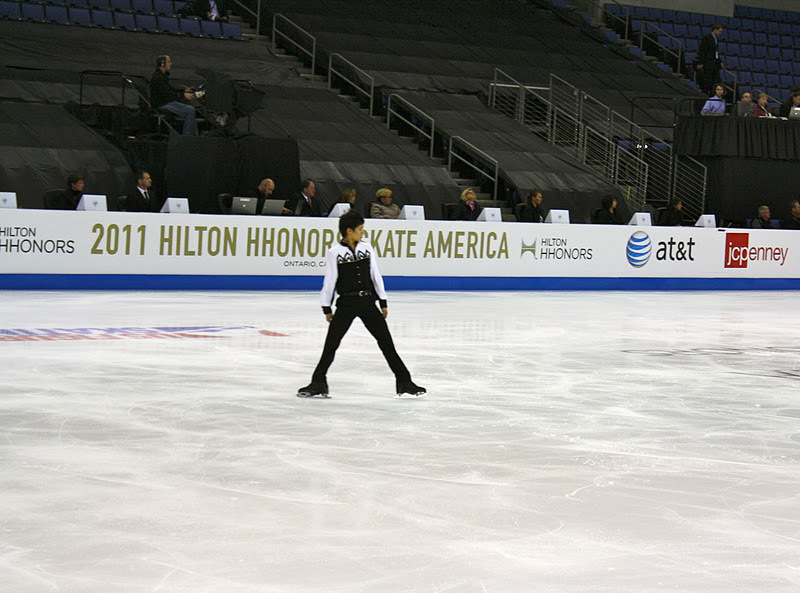 I didn’t know we could take pictures until the second session, so I don’t have any short program or short dance photos. 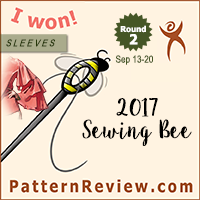 In terms of costuming…. there was a distinct sense of “start of season” syndrom. A lot of the costumes seemed incomplete or unfinished. I don’t know, perhaps everyone is going for a more subtle sophisticated look this year? Perhaps I am old fashioned, but when there are more rhinestones in the men’s event than in the dance event something is wrong with the world. I must say Meryl Davis looked amazing as usual though. Even if she had to reuse a costume from two years ago for the free dance. If it is pretty and it works, go for it says I. There is lots of other debate, discussion, and analysis out there on the web, so I won’t go into detail. I will say, however, that nobody (and I mean nobody) looked super ready to start the season. For some skaters the routines looked finished but the conditioning wasn’t there. For others the conditioning was great, but the routines had some rough spots. The delay of last year’s world championships is showing, and it will be interesting to see how the skaters progress through the season. 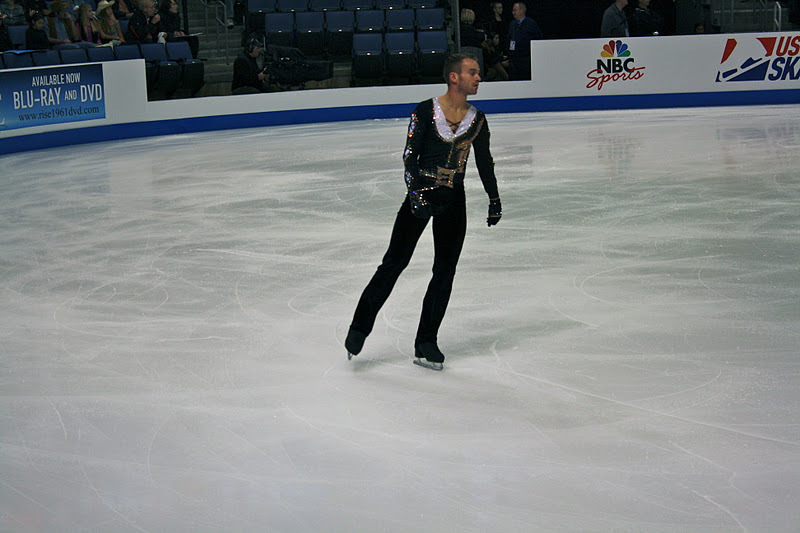 I have always loved watching Michal Breznia skate, although he has his ups and downs, and I was very excited to be able to see him skate live and in person, and I was happy for his win, despite quite a few errors at the end of the free skate. 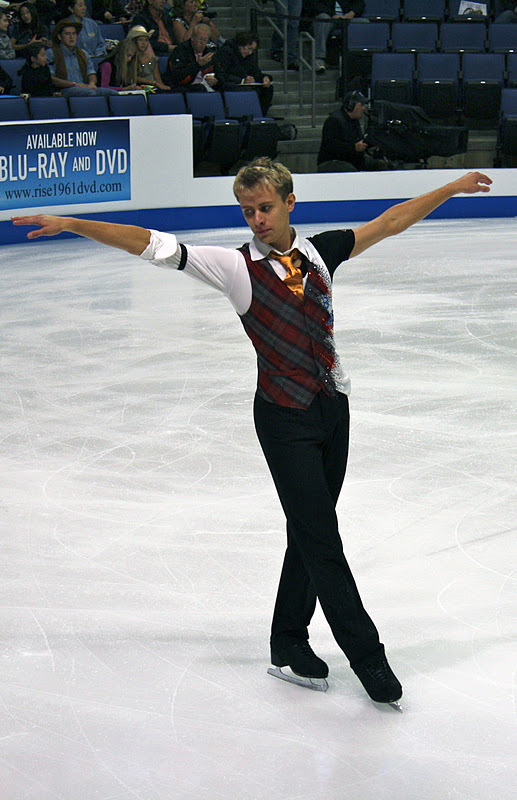 2nd – Kevin van der Perren of Belgium. He was not afraid of the sparkles, and that made me happy. 3rd – Takahiko Kozuka of Japan. 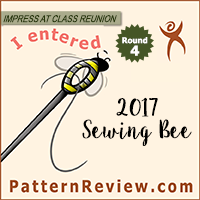 Great program, but too many mistakes. 1st – Meryl Davis and Charlie White of the United States. Fabulousness. 2nd – Nathalie Pechalat and Fabian Bourzat of France. 3rd – Isabella Tobias and Deividas Stagniunas of Lithuania. Isabella Tobias was sitting in the row right behind me when she found out that they had placed third. It was wonderful to see someone so genuinely happy and excited about their placement. Since I see most ice skating on tv, I always get to see the “for cameras” reaction, and rarely how non-US and non-gold medalists feel about their placements. 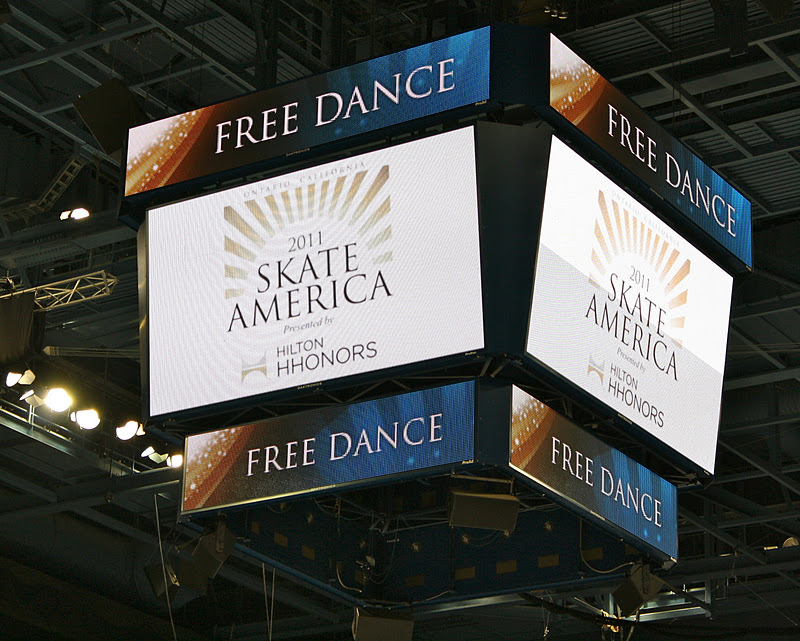 I felt that they skated a nice free dance, and I was very happy for their success. So, it was a really wonderful weekend. While my fantasy team took a few hits (and more than a few falls), it was so much more exciting to be there live and in person and I really hope I can go to another large ice skating event in the future. Also, a few more shots of Meryl and Charlie. World champions, what can I say?